Apple has released the second beta of the upcoming iOS 12.2 that is found to have four new Animojis, including giraffe, owl, shark, and warthog. The new iOS version could also limit access to Accelerometer and Gyroscope in Safari for privacy reasons. While Apple hasn’t detailed the new iOS version, the latest revelations are a part of the iOS 12.2 beta 2 build. It, however, might take a while before the stable iOS 12.2 update hits the compatible iPhone and iPad models. Meanwhile, the first beta of iOS 12.2 last month was spotted having hints of ‘Hey Siri’ hotword support for AirPods and a Downtime option specifically for the Screen Time feature. If you had thought the Apple may abandon the Animojis after the arrival of Memojis that debuted last year — alongside the new iPhone models, you would be wrong. The Cupertino company is apparently getting ready to bring as many as four new Animojis to iOS in the coming weeks. 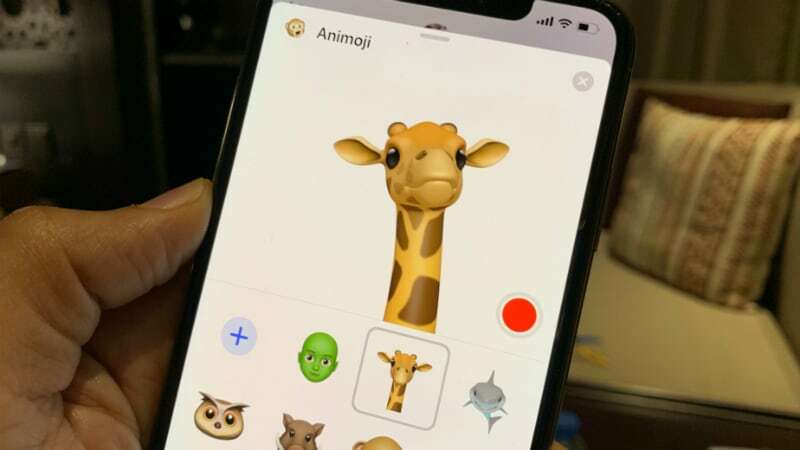 The company is currently testing the new giraffe, owl, shark, and warthog Animojis as a part of the iOS 12.2 beta. With the arrival of four new Animoji characters, Apple could increase the tally of available Animojis on iOS to 24, as noted by 9to5Mac. The Animoji feature on iOS notably uses Face ID to imitate your facial expressions. This makes it limited to iPhone X family, including the iPhone X, iPhone XS, and iPhone XS Max. As PhoneArena spotted, while the existing Animojis are just disembodied heads, the newly added giraffe Animoji has a long neck that moves along with your head. Similarly, the shark Animoji is found to have a full body that even moves its tail based on your head movements. The latest iOS 12.2 beta update is also seen with the ability to restrict Accelerometer and Gyroscope access in Safari. MacRumors reports that there is a new Motion & Orientation Access option under the Privacy & Security settings of the Safari browser. 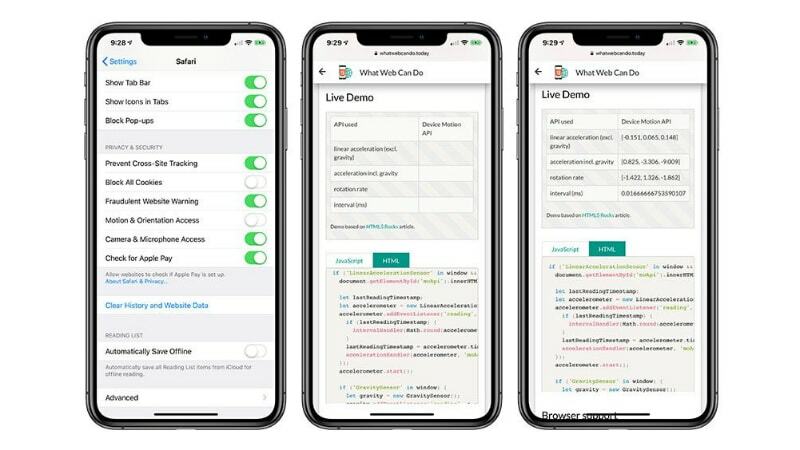 The option is by default disabled and the users need to turn it on to let websites use motion data from the built-in sensors in the iPhone, iPad, and iPod touch. The latest restriction is majorly in the works to help iOS users protect their motion data from being used by various websites. Tech publication Wired back in September last year had reported a detailed story around how mobile browsers let any website gain access to sensors, without requiring any user permissions. The scope of abusing sensor data is currently limited, though it could eventually emerge as a source for tweaking the experience for AR/ VR advertising. The iOS 12.2 beta 2 also includes the AirPlay icon on the Now Playing tile in the Control Centre, 9to5Mac mentioned in a separate report. Additionally, the US telecom operator AT&T users in certain markets will also see 5G E instead of the traditional LTE icon in the status bar to highlight higher speeds with the iOS 12.2 release. Last month, Apple released the first beta of iOS 12.2 with references around a Hey Siri hotword supportspecifically for AirPods. The first beta release also hinted at Downtime customisation in Screen Time. It also suggested that the new iPad and iPad mini that could debut this year might not have Face ID support.